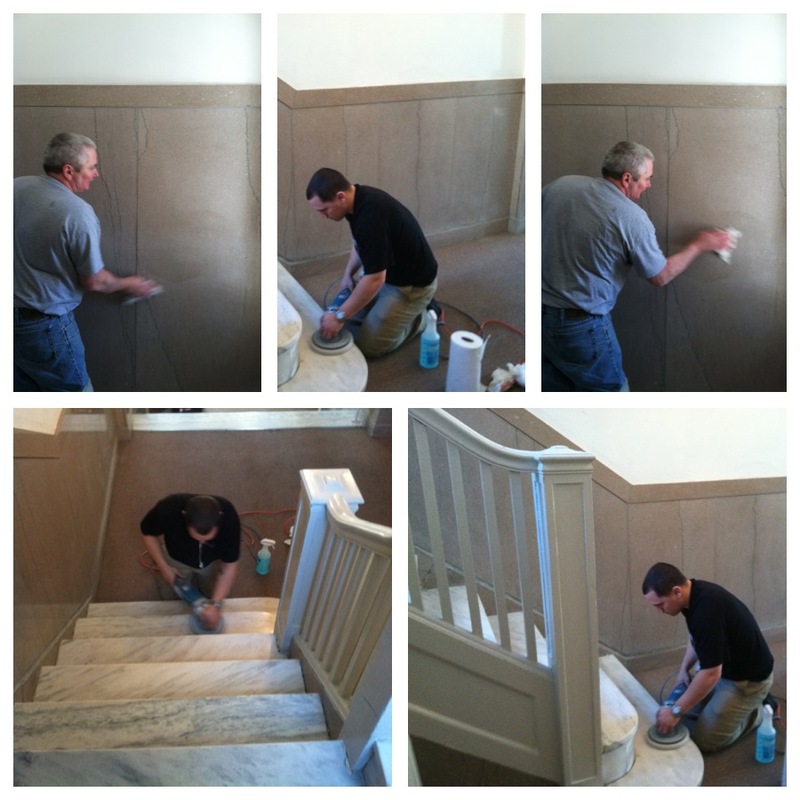 Boston Stone Restoration is New England’s leading granite, marble, and natural stone and tile restoration company. We specialize in polishing, repair, sealing, cleaning and renovation of marble, granite, terrazzo and other natural stone tile and solid surfaces. Our company has been restoring and maintaining marble and natural stone since 2003. What does stone restoration mean? “Stone restoration” is the process of taking a damaged, dirty, stained or worn stone surface and applying a series of diamond abrasives of varying grit to hone and resurface the stone. Micro honing removes a layer of stone starting at 1/132” to remove damage and can go progressively deeper as is required then preparing a fresh, polishable surface. The surface is then polished and finished to the owners’ preference. Depending on the damage, a stone care pro will start with a coarse diamond and move on to a finer, finer and finer grit until a surface is perfectly smooth and prepared for a final finish. The process is akin to sanding down wood with sandpaper. When a master carpenter prepares a wood surface for finish, it must be smoothed to silk to prevent the finish, like paint or urethane from showing and exaggerating imperfections. We can apply many finishes, from glossy, to non-glossy, honed, antiqued, leathered, brushed, satin, or just natural – the finish is nothing if the surface isn’t perfect. 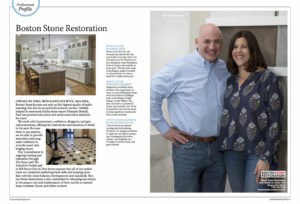 Owned by husband and wife Melissa and Paul Bunis, Boston Stone focuses not only on the highest quality of craftsmanship but also in exceptional customer service. 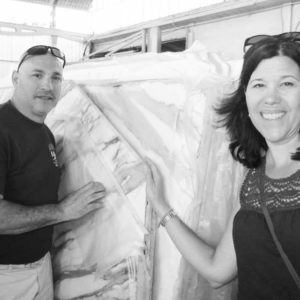 Initially trained by renowned Italian stone expert Maurizio Bertoli, owner Paul Bunis has provided education and stone restoration solutions for years. From homeowners to commercial building owners, architects, superintendents, facility managers, hotel managers, general contractors, and insurance companies we offer the best service and attention to detail in the area. Because stone is our passion, we are able to provide innovative and pragmatic solutions to even the most challenging issues. Our commitment to ongoing training and education through The Stone and Tile School in Florida and at MB Stone Academy in New Jersey ensures that all of our technicians are constantly perfecting their skills and keeping up to date with the latest industry developments and standards. 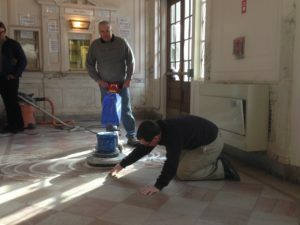 Boston Stone Restoration is also committed to educating our clients in the proper care and maintenance of their marble or natural stone floor or surface. Looking for service? Check out the areas we serve or just call us today!